There’s a hard truth that people are, rightly, reluctant to discuss: Thanksgiving can be something of a mixed bag. Sure, it’s a long weekend, right when we need it most. With summer but a distant memory and the routines of the fall starting to weigh heavily upon us a three-day weekend, with its promise of a good dinner and some relaxed time with those closest to us, seems like the answer to the early autumn ennui. But those three days can quickly turn from warm and relaxed to intense and overscheduled. Juggling timelines, fretting over details, sweating over an unexpected intensity...and that’s just cooking your turkey dinner! To counter this, it’s important to remember the meaning of the day: this is an opportunity to slow down and consider the blessings in our lives. To be, well, thankful. This weekend, take some time for yourself. Take some time for self-care. Take some time to unplug, to unplan, to sequester yourself away. A few hours can make a world of difference, not just to the day, but to the coming weeks as well. Take a holiday from your holiday. And why not plan a family trip to a local independent bookstore, followed by an afternoon of quiet reading? No screens, no pressure, just a good book, for everyone. Canada's independent booksellers have a few recommendations to help with your holiday within your holiday. And if you want more suggestions, just ask: there’s nothing a bookseller likes more than recommending a beloved book. Except maybe turkey. Though that might just be me. As for a book I'm thankful for, that would be Lost Girls, Andrew Pyper's first book and one I still love putting into people's hands. It's something that works for literary readers, genre fans, and anyone who just digs what has come to be called Ontario Gothic. In subsequent years, he's put together a hell of a list and there's a fair bit of complimentary/imitation out there from others, but for my money, Andrew Pyper put together that particular hybrid of Alice Munro meets Stephen King first, and still does it best. Pyongyang, by Guy Delisle, is an interesting graphic novel to be thankful for. It presents challenging subject matter often made more challenging when Delisle unabashedly shows his own ignorance towards North Korean people and his surrounding many many times. But there is so much satire within this graphic novel, and it was Delisle's intention to display his own ignorance in juxtaposition with irony and truth. It's a great reminder that culture is unique, and so are the privileges we live with. I'm thankful when a graphic novel reminds me to step back and set my privilege and my preconceived ideas aside in place of empathy and support. The people of North Korean are STILL in need of liberation. I lost a friend recently, and it made me realize how much a wonderful friend can enrich your life. 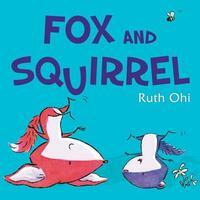 On that theme, I am thankful for Ruth Ohi and her Fox and Squirrel series. I love the friendship that fox and squirrel have in spite of their differences. They learn valuable lessons about life in a fun and relatable text with an underlying theme of acceptance and caring for one another. The beautiful illustrations make these memorable friends come alive! This is a story of a day in the life of a young orca and her pod. The authors bring factual information on the lives of the animals in a way that feels like part of the narrative. 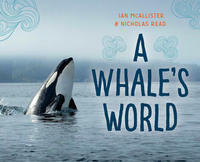 The whole series is illustrated throughout with absolutely gorgeous photographs by Ian McAllister. Informative, beautiful hopeful books. The North is a place many of us will never experience directly, but we can know it through the journals and memoirs of those who visit and return, decked out in experience, noticeably changed. One senses there are those for whom a visit to somewhere new is a return, a sense of belonging as if the very ground reaches up and says, do you remember? I will never visit the North, I bet, but I have visited parts through the medium of journalists who write like artists. I am lucky to know a few, and we are lucky to know Dave Bidini and fortunate to have his new book, Midnight Light as a document. This is an absolute joy to read as his writing just flows, inspired, unencumbered, passionate, his joy at being there, his thrill of living loud, leaps off the page. He consumes it all, the edge of the world and the caravan of characters who populate it. They emerge from the pale in all their raw bloodiness, kind, cautious, interested, introspective, seekers, hiders, First Nations and the last of their ways, the young, the very elderly, and right there in the middle of it, the muddling, middling middle of it a newspaper seeking the new. Bidini was there as a journalist, getting as close to the truth of the North as was possible—and it’s as if he cupped it all in his hands, came South and gently, opens up—there in his palms, a globe of midnight life captured in light.